Outstanding software that is both flexible and robust - that's QuickBooks the world's biggest selling accounting software. Why would we sell anything less? Depending on the size and needs of your team, we have a solution for you. QuickBooks Hosted is complete accounting with the convenience of accessing your data file anywhere, anytime over the internet. This provides greater convenience, improved efficiency and secure offsite hosting and backup of your data. 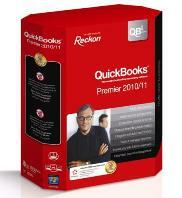 The Premium service opens up access to QuickBooks through a variety of platforms - PC, Mac, IPad and Android. Perfect for people needing QuickBooks on a range of different devices and businesses that need their information with them on the go. Unlike other onine accounting systems, you can run multiple data files from a single subscription without additional charges, and at just 99c per day for Premium (+NZ gst) . Industry-specific editions incorporate tools and reports designed to meet your specialised needs, while fast user capability and performance help increase your business efficiency. 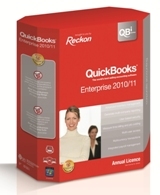 While QuickBooks Premier is a 3 user licence you can purchase up to another 2 licences to make a total of a 5 user pack. These are purchased individually and are a subscription licence. Wanting a product that will allow you to on charge your time? 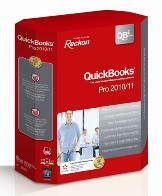 - Choose QuickBooks Professional. QuickBooks Pro let’s you prepare quotes and estimates, integrates seamlessly with Microsoft Office and has advanced tools to help you analyse key projects. It also allows you to automatically track items in different units of measure. Retail Point of Sale Professional is retail intelligence at your fingertips, with everything you need to track sales, inventory, purchase orders, customer and accounting. Advanced features allow you to set up promotions, create customer loyalty programs, table tracking and kitchen printing. IMS Payroll Partner is a simple yet powerful payroll system for Windows. Standard Windows features makes IMS Payroll Partner so easy to use! Runs on all 32 bit versions of Windows including Windows 7. Auditing – records all changes to the system, who made the change, when it was made and before/after details. Company Controls lets you setup payments, deductions, costing codes, pay points and company details. Employee Information includes standard personnel details, payments, leave, notes, permanent transactions, totals and history. Payroll Processing contains nine easy steps from opening a new pay period through to closing it.